Then, for a number of years, I dropped the habit altogether. Looking back, many of the expectations I put on myself were unrealistic from the start (clearly!). I am glad I realized then that it wasn't worth the stress I put on myself to meet them or the frustration I felt when I failed. In recent years, I have picked up the January habit again, but I have stopped using the word "resolution" and started setting "goals." 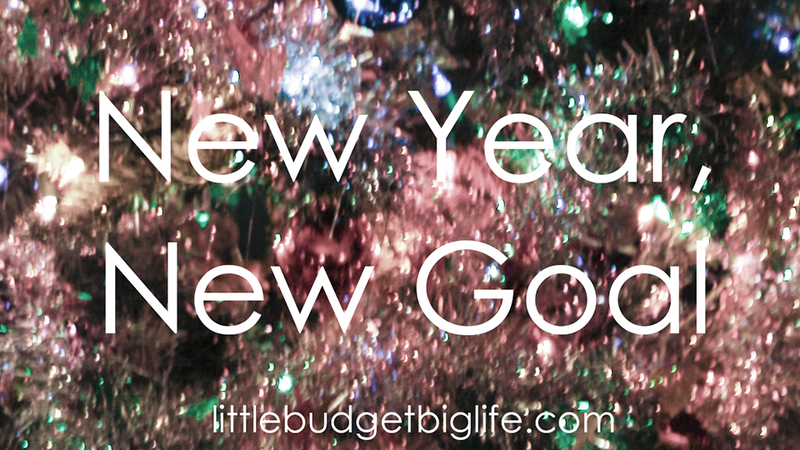 It has completely changed my approach to how I view the incoming year, and in a very positive way. I also limit myself to one or a few; no more laundry lists, which are too daunting to follow through. Because, really, we can set a new goal any time of the year, right? We don't have to overwhelm ourselves at the beginning! So, for the coming year, I have created this goal: make my screen time more meaningful and more productive. I require a computer for my work, and I enjoy social media. I can't eliminate screen time, nor do I want to. To make the time more meaningful, I will eliminate the junk. This means unsubscribing from emails that do not interest me. Sale messages from a website I ordered one gift from two years ago are out of there. Updates about social events in the city we visited in 2013 are gone. If the messages in my inbox are all of interest and pertaining to my life right now, I will spend less time sorting the junk and be able to review and react efficiently to what I receive. This can take a while if you're really far in the hole with junk email, but it's so worth it. Even if you work through five or ten junk messages a day, clicking the unsubscribe button on each one, eventually they will all stop (some take up to two weeks to remove you from their mailing list, so be patient and diligent and you will see a difference). There are apps that claim to do it for you, but I have not known anyone who had complete success with one, yet. It also means cleaning up my Facebook feed. I adore Facebook for seeing photos of my friends and their families, for receiving information about local events, for following blogs, and for obtaining and sharing other generally helpful and uplifting information. I realize that is not how everyone uses Facebook, and that's fine, but that's what I want out of it: enjoyment. So, I will sort through all my "liked" pages and quietly "unlike" the ones that no longer pertain to me. I will hide Facebook posts--namely political--that unnerve me, and I will unfriend repeat offenders, if I deem it necessary. This is not to be mean or rude, but rather as a form of self-care; I have to protect my own heart. I get my national and international news directly from reputable sources; I don't want it, or any garbage masquerading as news, in my feed. These simple changes will tailor my experience, and I believe it will be a much more pleasant one. To make the time sitting at my computer more productive, I have got to create a structure for the minutes I spend in that spot. This is going to take some experimentation, because while I don't know exactly how to make it better, I do know that what I do right now isn't working. See for yourself. Current scenario, typical of many mornings: I turn the computer on and creep into the kitchen to make coffee, careful not to wake anyone in the house. When I get back, I open my email. Then I open Facebook. I start Photoshop. I go back to email and delete messages that are obvious junk. I go to Facebook and open my notifications and follow through on any that I want to know more about. I open another tab and go to our online store to see whether there are new orders, although the likelihood of me packing and shipping them immediately is incredibly low. I open a fourth tab and start a music station on Pandora. I go back to email and look for any new, time sensitive messages; I open those and might react as needed and might decide to deal with them later. I return to Pandora to change the station. I open a few images in Photoshop to retouch and save them. I open Word and start typing a summary of the events and lessons of our school week. I realize I need to update our co-op's website, and open a new tab to take care of it. I remember that I have a topic I want to research, so I quickly open a new tab to type it in before I forget it. I see new Facebook notifications so I pop back over there. I open a few comics files in Photoshop, thinking I should prioritize knocking out a basic task or two to help Chris along on his current project. Just as I start on the first page, I hear Pip's feet hit the floor, and I realize that while I started many things, I may not have finished a single one, which stresses me out. And this is how our day together begins. Some people thrive on hopping around between multiple activities; clearly, I do not. For me, the current norm is a mess, and yet I have been functioning this way for some time. I spend mental energy throughout the day either searching for moments to get back to my desk to chip away at what I started, or feeling frustrated at how few of those tasks I got done. I know it has to change, and I think the most specific plan I can have, for now, is to take my seat at the computer knowing I must deliberately focus on one task at a time, instead of all the jumping around, and see how that pans out. For January, I am stopping at this one goal, because it's big. I'll revisit it in a month or two--or earlier if what I'm doing doesn't seem to be working--and make changes as necessary to ensure its success. I've realized that it's very important for my well-being for this to change. And I am confident that it will have a positive effect on other areas of my day to day. It's a little scary to share a goal, because making it public invites accountability. But there it is. Do you set goals for the new year?